who also wanted their recipes in the book, shame. magic happen. DIY? Because anybody can! 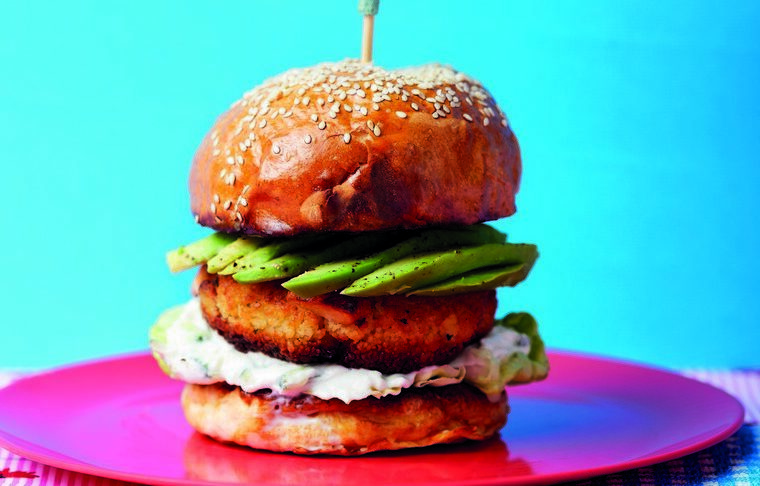 crunchy side salad – or why not pop one onto a burger bun to make the ultimate veggie burger! the halloumi into little cubes. of extra virgin olive oil before adding the beaten egg. Shape the mixture into patty shapes with your hands. until they are golden brown. Don’t crowd the pan!